Group member Mosman took time out to answer Marks questions about the name of his group, a collaboration with Kope, Illegal Aid, new releases and what’s next. What’s the history behind Fugazi Rum? 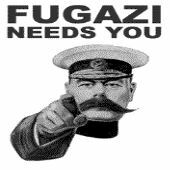 Why “Fugazi Rum”, What does it mean? Fugazi mean all messed up and rum means odd we just stuck with that because it explained our characters and music up in one….plus love supping dark rum! How did the Kope collabos come about? I meet kope at rawganics at scissor tongue 2002 battles we was both in it ,we didn’t battle each other but we both got beat by the winner,U know kope character sticks out I got his number we chatted a few times then he linked up, I think our styles compliment each other both grimmey I can c plenty more appearances in the future. Can you drink him under the table? How did you get involved with Illegal aid? What’s your fav track on the EP? Why didn’t you get this release pressed on color vinyl like the last two (White would have worked)? We got all the first 2 releases pressed in praha its a lot cheaper for colored records over their even after the import, but the last one took ages we waited 3 and a halve months to get our records back, so this time I just got them done in England anyway what’s wrong with black u racist ha ha ….cheaper option at the end of the day..
How do you see this EP going? Been busy doing the business side of things really but hopefully I got some thing’s lined up look out for idiot box should b featuring on a track or 2…also you should be seeing a lot more of filla his just been signed to vibez based in London linked with “Subject 13” so look out for big tings all round. Big up johnny cocktail for all his work an efforts! same to huss illegal aid.,underground alliance,spitfire,dirty stop outs lofty rawganics anyone putting effort into their music and enjoying it, check out the vid also for backstabber clubmix if u c that down on channel u vote for it! The name Fugazi is copyrighted by a band from the 80’s.